Raising chickens can be an intensive and difficult task, but it can be made easier with great products like chicken coops from Pasturas Los Alazanes. If you are new to raising chickens, things may start out small and get over-crowded before you know it. Overcrowded coops can lead to aggressive behavior, broken or dirty eggs, and poor looking birds. Pasturas Los Alazanes is happy to provide you with all of the chicken supplies you need to prepare for a new round of chicks this spring. If you are interested in raising chickens, then come on by and talk to our knowledgable staff today. We will happy to set you up with all of the supplies you need to be successful in raising your chickens. 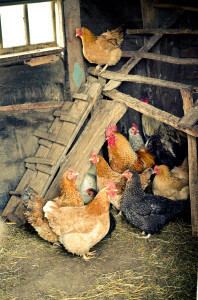 Click here for great tips on how to prepare your chicken coop. Here at Pasturas Los Alazanes, we are committed to making sure you find exactly what you are looking for. If you have any questions about the chicken coop supplies that we offer, then please click here to visit our contact page. We will be more than happy to answer any questions you may have.